Blues Revue magazine is offering a hot deal. 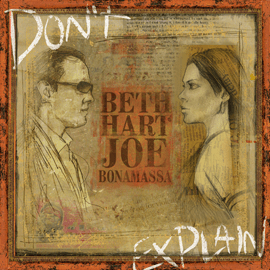 Subscribe to the publication and they will send you a free copy of Beth and Joe’s first album, Don’t Explain. That’s right, I said first. The second album is expected later this year. Back on track, to sign up head on over to Blues Revue magazine’s website. Blues Revue is one of the top publications in the world of the blues. They also feature a dedicated page to the album, offering various sample clips and interviews. Check it out at Blues Revue.